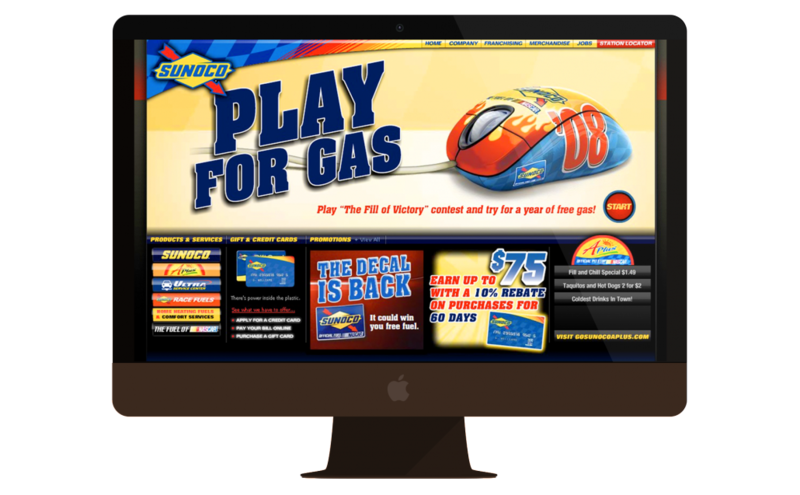 As agency of record for Sonoco, we handled every aspect of marketing, from pump to site to store. 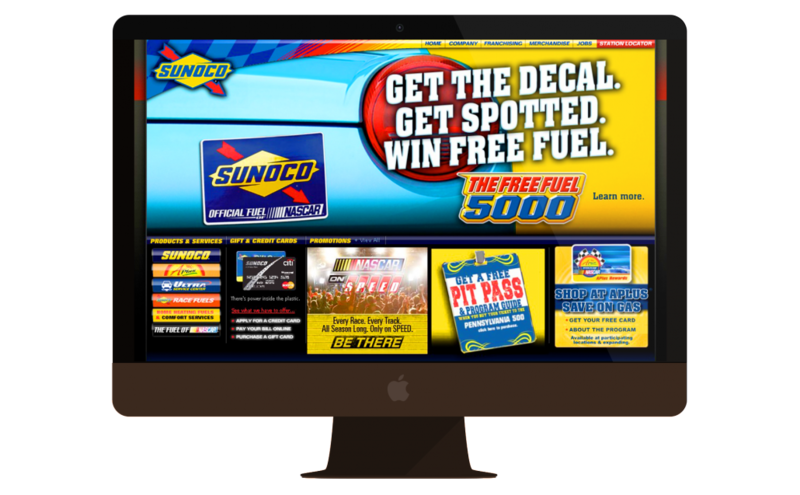 First up, we ran an innovative twist on the sweepstakes model, the Sunoco Free Fuel 5000. 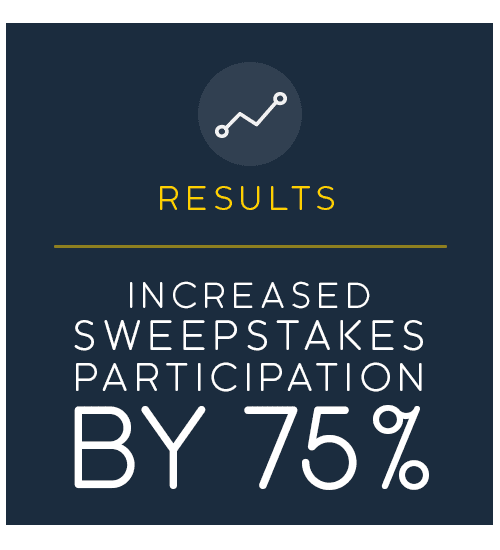 The viral program encouraged drivers to become mobile ambassadors, attaching branded stickers to their bumpers in hopes of winning free gasoline. 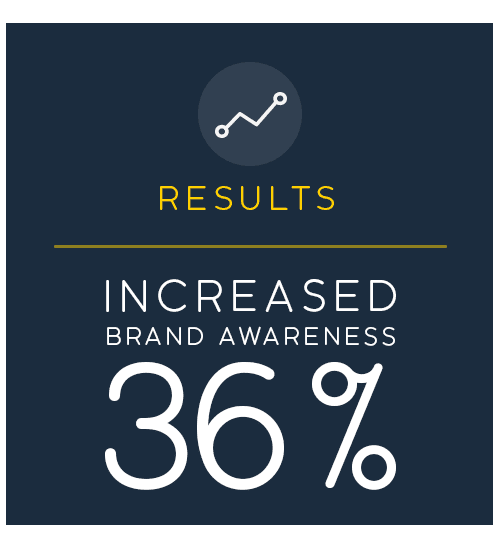 With outdoor ads and compelling TV and radio messaging featuring NASCAR driver Elliot Sadler, the campaign saw compelling returns, increasing participation by 75% and improving brand awareness by 36% where our campaign appeared. 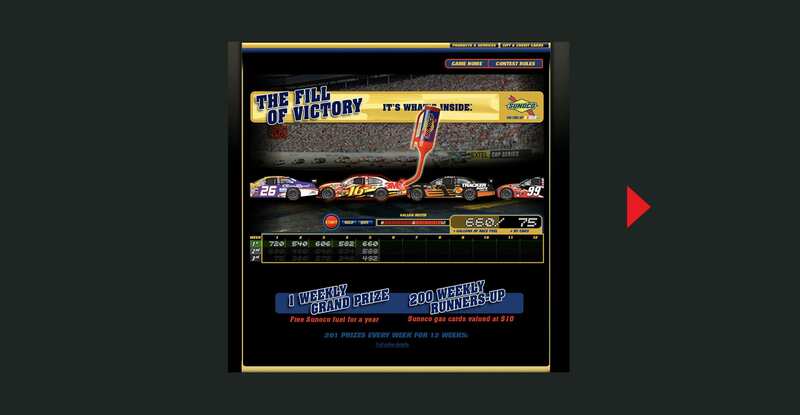 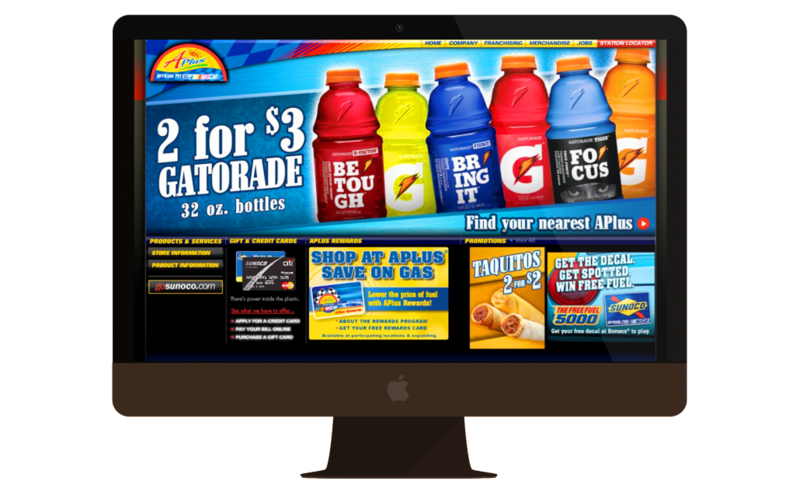 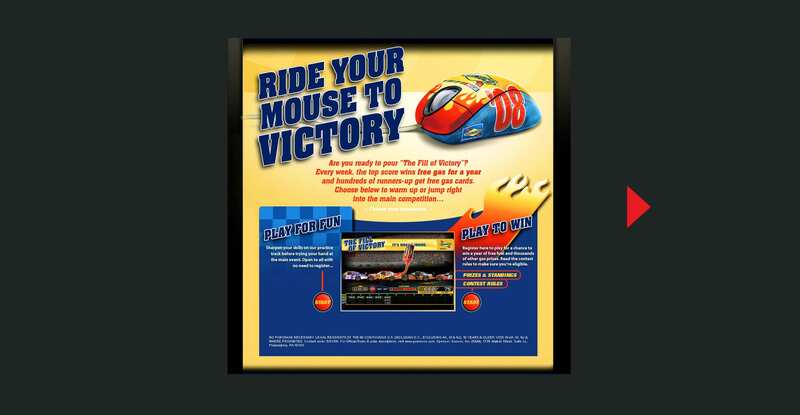 To build engagement at gosunoco.com, we designed an addictive online game that gave visitors a virtual NASCAR experience. 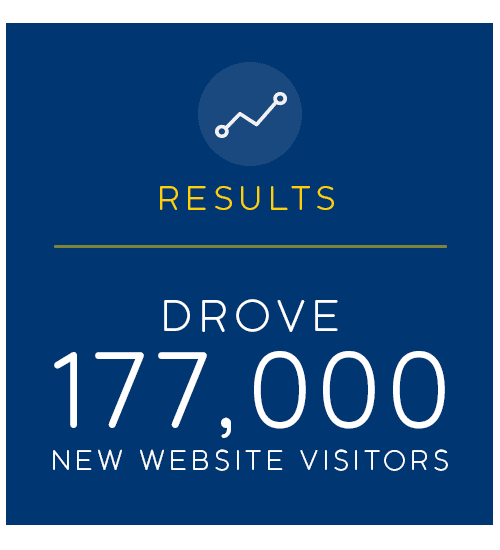 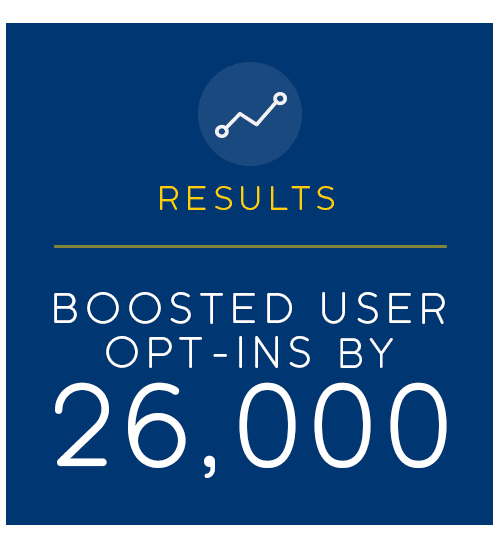 Our cyber race—and the campaign promoting it—brought 177,000 new visitors to the site, boosted user opt-ins by 26,000, and increased time spent online by 35%.  The game helped instill brand trust by reinforcing the message that Sunoco is the actual fuel used in NASCAR races. 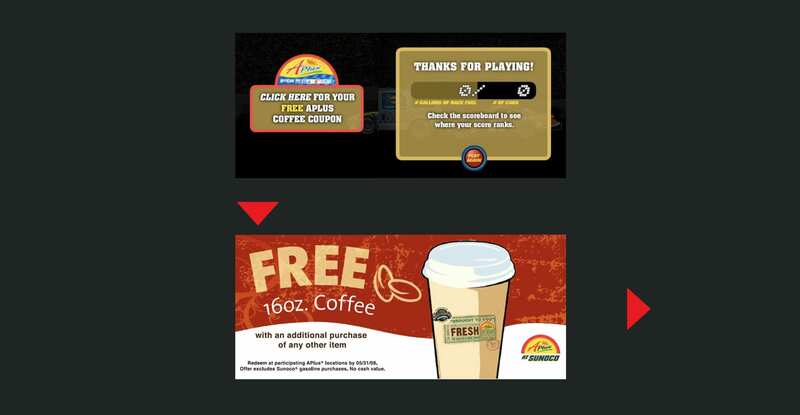 It also helped drive traffic to both gas pumps and APlus stores by offering exclusive gas prizes and coffee coupons throughout game play. 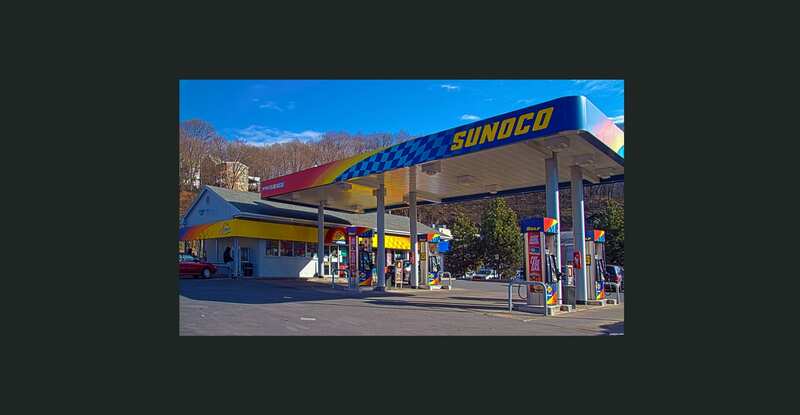 REINFORCED THE MESSAGE THAT SUNOCO WAS THE OFFICIAL FUEL OF NASCAR AND WAS DESIGNED TO DRIVE TRAFFIC TO RETAIL.